The South Wedge neighborhood is celebrating Christmas as only we can! “It’s a Wonderful Life in the South Wedge & A Handmade Holiday 2017”, an event produced by the Business Association of the South Wedge (BASWA) will be held on Saturday, December 2nd from 11am – 4:00pm at Star Alley and Abundance Food COOP, 662 and 572 South Avenue, in Rochester, NY. A Handmade Holiday vendors will be located in The Historic German House and St. Boniface Church located at 315 and 330 Gregory Street. Star Alley will be decorated in a classic Christmas theme with pine boughs and decorations while a horse drawn carriage strolls the neighborhood. 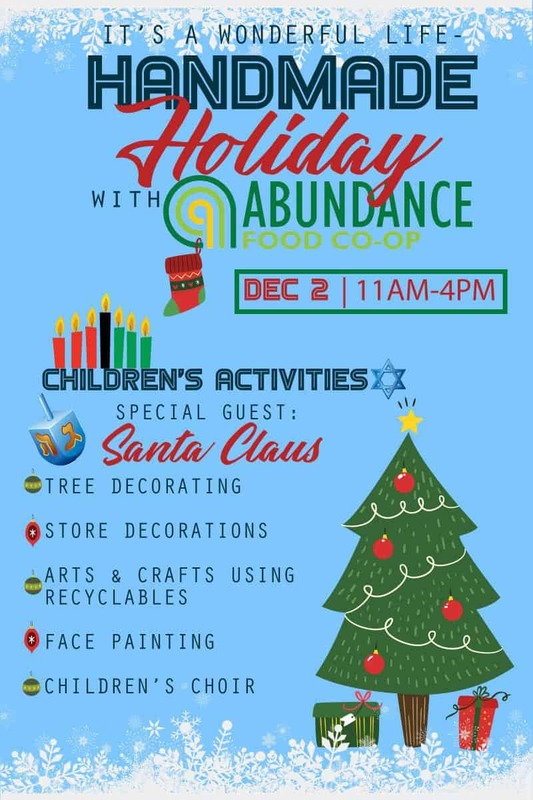 All children’s activities will be hosted at Abundance Food Co-op! Children’s activities will include an Angel Get’s it’s Wings activity, Christmas tree ornament and stocking decorating. There will be holiday themed games that appeal to all ages. Rochester’s favorite food trucks will be on hand in addition to the South Wedge’s finest eateries, many featuring holiday food and drink specials. There will be five musical groups, Westside Singers Children’s Choir, Resonanz – The Rochester Oratorio Society, The Flower City Pride Band, Matt Weasner, and a Rochester favorite, The Buddhahood. Local businesses will provide the backdrop and be open throughout the event.